We Love Sprinkler Repair and Maintenance! Irrigation systems have always been interesting to me. As a horticulturist, I appreciate beautiful gardens and lush lawns, and I love helping customers optimize their sprinklers for plant health and water conservation. 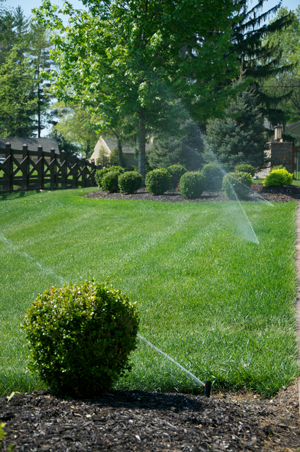 A great sprinkler system provides the appropriate amount of watering and convenience for the home owner. And I love to fix things! Sprinkler systems have many different parts and challenging repair scenarios that interest me. Unfortunately for home owners, most irrigation companies aren’t interested in servicing existing sprinkler systems. They only want to install new systems. So, there was an opportunity for me to help customers with my unique skill set. Sprinkler system maintenance and repair is a perfect fit for me, so I started TriState Water Works, your prompt and proven sprinkler service company. Our team is dedicated to caring for your irrigation system and helping your lawn and gardens thrive. Whether your system needs a spring startup, backflow testing, winterization or troubleshooting, we’re just a call away!